If you have any questions, concerns, or comments regarding Dr. Scott Lafferty, please fill out the short contact form below. "I have so appreciated Dr Lafferty from the first meeting. He sits and really listens to you. I would recommend him highly. His staff is also very kind and helpful." "Dr. Lafferty is a great doctor. The staff is so professional and friendly. I would recommend them to anyone looking for a doctor who truly cares." 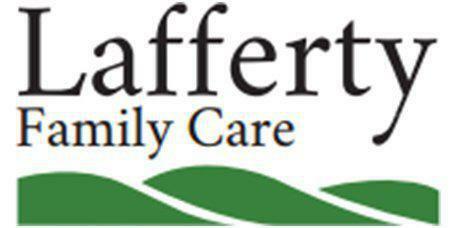 "Dr. Lafferty is such a wonderful and caring doctor. He is a great people person and is very reliable. His preventative methods are fantastic." "I really like this place. The doctor and nurse are great. No waiting anytime I have come here. They diagnose the problem and send you on your way." "I love how Dr. Lafferty listens and isn't all about just prescribing pills. he looks at the whole body, is innovative and is a great doctor for the whole family!" "I love the staff. They are very friendly and take the time to thoroughly answer any questions I have even after my visit." "Dr. Lafferty is personable and knowledgeable. He is now my family's primary care physician." "I have health issues and he is one I can trust to resolve them because he uses optimal tests to get more detailed information that basic tests miss."